The Eastern Ranges are very excited to announce our new partnership with Sporting Fine Art for season 2019! 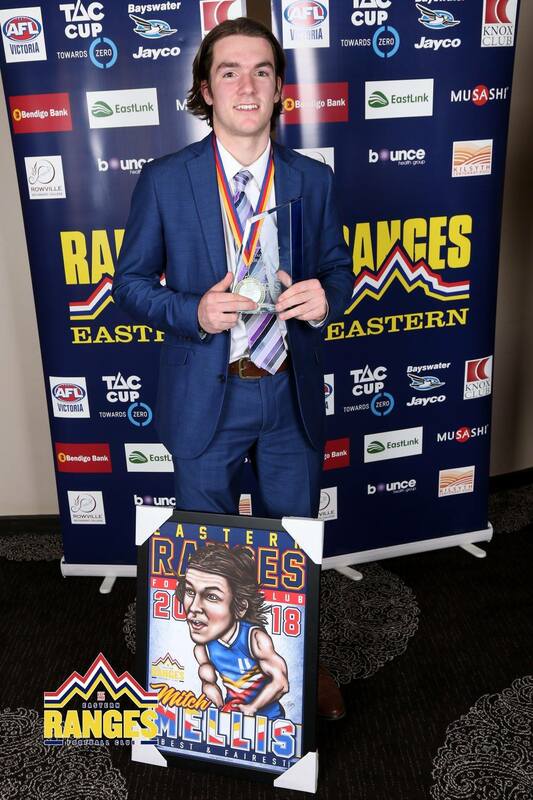 Sporting Fine Art will create and sponsor our newly introduced Player Debut Caps and will provide our 2019 Pennington Medalist with their very own caricature as pictured below with our 2018 Pennington Medalist - Mitch Mellis. Sporting Fine Art's vision is to capture inspiring moments and portray heroes of Grassroots sport through art, merchandise and apparel. Specialising in Custom Artwork, Premiership Posters, Premium Merchandise and Elevated Apparel, Sporting Fine Art is your one-stop grassroots sport shop and are located at 1 High Street, Bayswater. We would like to thank Ryan, Kylie and Sporting Fine Art for their support of the Eastern Ranges and we look forward to working with them throughout 2019 and beyond!